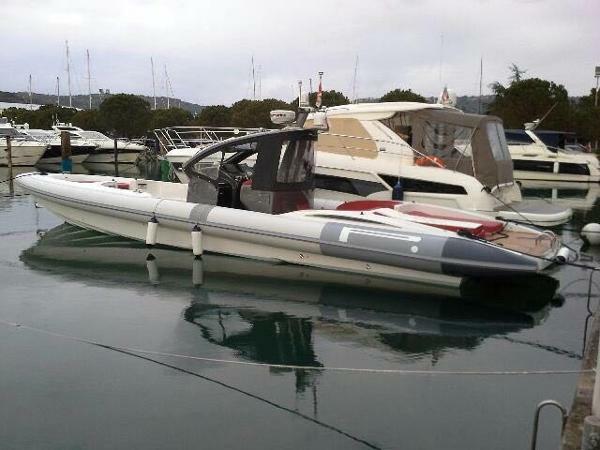 Venditore Princess Yachts (Cyprus) Ltd.
One of the highest specified Tecnorib Pirelli Pzero 1400 Sport ribs out there. 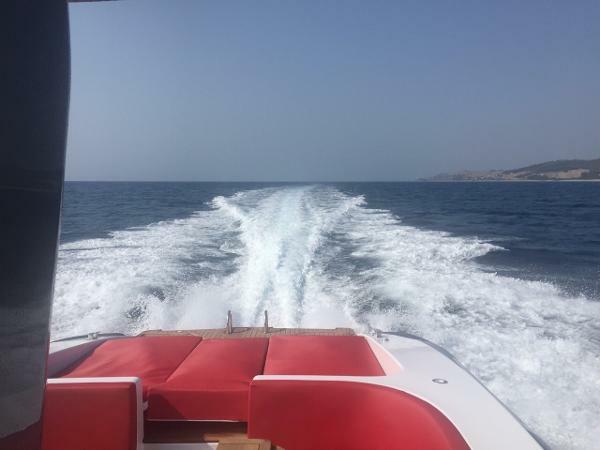 Built in 2015 this boat is found in excellent condition having been well maintained by her current owner. Powered by a pair of Mercury Mercruiser 8.2L MAG HO DTS Petrol 430hp Bravo 3 Axius Premium sterndrive engines she has plenty of power to achieve high speeds and very comfortable cruising speeds. 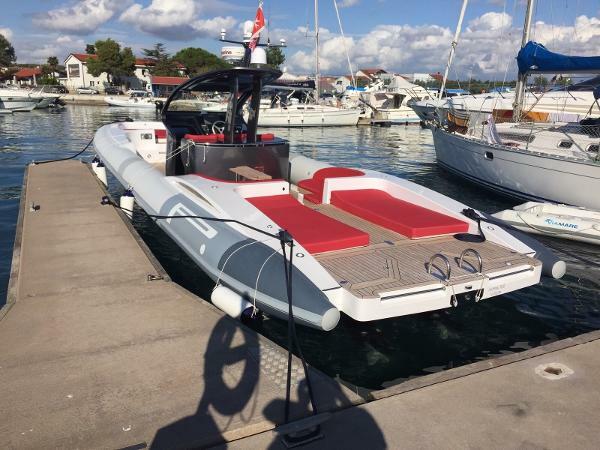 This Tecnorib srl Pirelli Pzero 1400 Sport benefits from a wealth of extras including a bow thruster, underwater lights, custom paint work, water maker, upgraded navigation equipment and carbon fibre passerelle.